In the wake of the Texan defeat at the Battle of the Alamo on March 6, 1836, General Sam Houston ordered Colonel James Fannin to abandon his post at Goliad and march his command to Victoria. Moving slowly, Fannin did not depart until March 19. This delay allowed the lead elements of General José de Urrea's command to arrive in the area. A mixed force of cavalry and infantry, this unit numbered around 340 men. Moving to attack, it engaged Fannin's 300-man column on an open prairie near Coleto Creek and prevented the Texans from reaching the safety of a nearby timber grove. Forming a square with artillery at the corners, Fannin's men repulsed three Mexican assaults on March 19. During the night, Urrea's force swelled to around 1,000 men and his artillery arrived on the field. 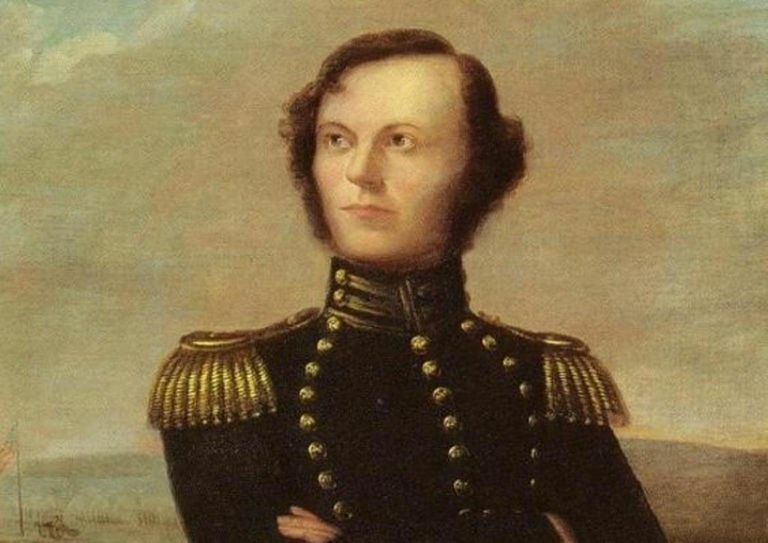 Though the Texans worked to fortify their position during the night, Fannin and his officers doubted their ability to sustain another day of fighting. The next morning, after Mexican artillery opened fire on their position, the Texans approached Urrea regarding negotiating a surrender. In meeting with the Mexican leader, Fannin asked that his men be treated as prisoners of war according to the usages of civilized nations and paroled to the United States. Unable to grant these terms due to directives from the Mexican Congress and General Antonio Lopez de Santa Anna and unwilling to mount a costly assault against Fannin's position, he instead asked that the Texans become prisoners of war "at the disposal of the Supreme Mexican Government." To support this request, Urrea stated that he was unaware of any instance where a prisoner of war who had trusted the Mexican government had lost their life. He also offered to contact Santa Anna for permission to accept the terms requested by Fannin. Confident that he would receive approval, Urrea told Fannin that he expected to receive a response within eight days. With his command surrounded, Fannin agreed to Urrea's offer. Surrendering, the Texans were marched back to Goliad and housed at Presidio La Bahía. Over the next few days, Fannin's men were joined by other Texan prisoners that had been captured after the Battle of Refugio. In accord with his agreement with Fannin, Urrea wrote to Santa Anna and informed him of the surrender and recommended clemency for the prisoners. He failed to mention the terms sought by Fannin. In late 1835, as he prepared to move north to subdue the rebelling Texans, Santa Anna grew concerned about the possibility of their receiving support from sources within the United States. In an effort to deter American citizens from taking up arms in Texas, he asked the Mexican Congress to take action. Responding, it passed a resolution on December 30 which stated, "Foreigners landing on the coast of the Republic or invading its territory by land, armed, and with the intent of attacking our country, will be deemed pirates and dealt with as such, being citizens of no nation presently at war with the Republic and fighting under no recognized flag." As the punishment for piracy was immediate execution, this resolution effectively directed the Mexican Army to take no prisoners. Complying with this directive, Santa Anna's main army took no prisoners as it moved north to San Antonio. Marching north from Matamoros, Urrea, who lacked his superior's thirst for blood, preferred to take a more lenient approach with his prisoners. After capturing Texans at San Patricio and Agua Dulce in February and early March, he sidestepped execution orders from Santa Anna and sent them back to Matamoros. On March 15, Urrea again compromised when he ordered Captain Amos King and fourteen of his men to be shot after the Battle of Refugio, but allowed colonists and native Mexicans to go free. On March 23, Santa Anna replied to Urrea's letter regarding Fannin and the other captured Texans. In this communication, he directly ordered Urrea to execute the prisoners which he dubbed "perfidious foreigners." This order was repeated in a letter on March 24. Concerned about Urrea's willingness to comply, Santa Anna also dispatched a note to Colonel José Nicolás de la Portilla, commanding at Goliad, ordering him to shoot the prisoners. Received on March 26, it was followed two hours later by a conflicting letter from Urrea telling him to "treat the prisoners with consideration" and to use them to rebuild the town. Though a noble gesture by Urrea, the general was aware that Portilla lacked sufficient men to guard the Texans during such an endeavor. Weighing both orders during the night, Portilla concluded that he was required to act on Santa Anna's directive. As a result, he ordered that the prisoners be formed into three groups the following morning. Escorted by Mexican troops led by Captain Pedro Balderas, Captain Antonio Ramírez, and Agustín Alcérrica, the Texans, still believing they were to be paroled, were marched to locations on the Bexar, Victoria, and San Patricio Roads. At each location, the prisoners were halted and then shot by their escorts. The overwhelming majority were killed instantly, while many of the survivors were chased down and executed. Those Texans who were too wounded to march out with their comrades were executed at the Presidio under the direction of Captain Carolino Huerta. The last to be killed was Fannin who was shot in the Presidio courtyard. Of the prisoners at Goliad, 342 were killed while 28 successfully escaped the firing squads. An additional 20 were saved for use as doctors, interpreters, and orderlies through the intercession of Francita Alvarez (The Angel of Goliad). Following the executions, the bodies of the prisoners were burned and left to the elements. In June 1836, the remains were buried with military honors by forces led by General Thomas J. Rusk which advanced through the area after the Texan victory at San Jacinto. Though the executions at Goliad were carried out in accordance with Mexican law, the massacre had a dramatic influence abroad. Whereas Santa Anna and the Mexicans had previously been seen as cunning and dangerous, the Goliad Massacre and the Fall of the Alamo led them to be branded as cruel and inhuman. As a result, support for the Texans was greatly bolstered in the United States as well as overseas in Britain and France. Driving north and east, Santa Anna was defeated and captured at San Jacinto in April 1836 paving the way for Texas independence. Though peace existed for nearly a decade, conflict came to the region again in 1846 following the annexation of Texas by the United States. In May of that year, the Mexican-American War began and saw Brigadier General Zachary Taylor win quick victories at Palo Alto and Resaca de la Palma.